To fulfill the requirements of the General Health Law with regard to international health and international health regulations, with the goal of applying preventative measures for diseases that are subject to international health controls (yellow fever, plague, cholera, measles, influenza and others as determined by the WHO-PAHO), and thus reinforce the global response to the international spread of diseases under its jurisdiction. In order to prevent the introduction of communicable diseases into our country, defined as new diseases or diseases that do not exist in the country. With the goal of preventing epidemics that put our population at risk. This is achieved through identifying, recording, searching and interviewing passengers coming from countries reported by the World Health Organization as having outbreaks of diseases that are targets of international epidemiological control. Before your trip: Get the measles vaccine three weeks before traveling to any country with incidence of measles, because the vaccine takes three weeks to create protective antibodies. People who cannot demonstrate that they were vaccinated as children, or that they have had measles, should be vaccinated. Check yourself and your children in the National Vaccination Record. In Mexico, the first dose of the measles vaccine is generally given at 12 months of age, and the second dose is given at 6 years of age or upon entering elementary school. Children between 6 and 11 months of age should be given a dose of measles vaccine if they travel internationally. Infants vaccinated before 12 months of age should be re-vaccinated after their first birthday, with an interval of at least 28 days between doses. The “double viral” or MR vaccine should be applied in special circumstances when there are cases of measles in a region, starting at 6 months of age, but this dose should not form a part of a vaccination plan (as was the case in the 2016 campaign). Adolescents and adults who have not received two doses of the vaccine should be vaccinated. If they have not had measles, they should receive two doses of the vaccine separated by at least 28 days. A double dose of the MMR (Measles, Rubella and Mumps) vaccine is almost 100 percent effective in the prevention of measles. Women of childbearing age should be vaccinated with the MR vaccine. The triple viral vaccine (MMR; measles, mumps and rubella). The double viral vaccine (MR; measles and rubella). The MMR vaccine is safe. No vaccine should be given to pregnant women or those who believe they may be pregnant. If a dose of MR is accidentally given to a woman who may be pregnant, she should consult a physician for information and monitoring. Do not self-medicate and seek medical help immediately. Drink plenty of liquids and oral rehydration salts or oral electrolytes to prevent dehydration. Tell the medical professionals who attend to you where you travelled. If necessary, blood samples and a throat swab (pharyngeal exudate) will be taken to determine if the sickness is present. Avoid close contact with other people for four days after the appearance of the skin rash (exanthema), in order to prevent transmission to other people or relatives who are not vaccinated. If you are still sick when you return to Mexico, please notify the flight attendant before takeoff, or the International Health official when you get off the plane. If soap and water are not available, wash your hands with hand sanitizer (with at least 70 percent alcohol content). Try not to touch your eyes, nose or mouth. If you need to touch your face, make sure your hands are clean. Cover your mouth and nose with a disposable tissue or your sleeve (not your hands) when you cough or sneeze. Using a facemask is suggested when in a group of people at less than a meter of distance. Avoid close contact like kissing and hugging, or sharing utensils or glasses with people who are sick. Keep the telephone numbers and addresses of the closest embassy or consulate of the United Mexican States on hand in case it becomes necessary to contact them. The USI (International Health Unit) in the AICM does not give vaccines to travelers. Before your trip: Get the yellow fever vaccine. The yellow fever vaccine should be given to those travelling to areas with risk ten (10) days before the start of the trip. Travelers should have an International Certificate of Vaccination or Prophylaxis. The vaccine should be given to people of any age except: children younger than six months, pregnant women, people with allergies to egg protein, people with suppressed immune systems who received an organ transplant, radiation treatment or medications (such as steroids or chemotherapy), HIV/AIDS, diseases of the thymus gland or problems with the thymus gland (such as Myasthenia gravis, DiGeorge syndrome or thymoma), acute infectious disease, encephalitis or cancer. According to the World Health Organization (WHO), a single dose of the vaccine offers permanent immunity and has close to 100% effectiveness in the prevention of yellow fever. During your trip and after you get back: If you have fever, intense back pain, headache, shivers, loss of appetite, nausea, vomiting and/or yellow coloration of the skin and eyes during your trip or up to 7 days after your return to Mexico. Don’t self-medicate and seek medical attention right away. Drink plenty of water and oral rehydration salts or oral electrolytes to prevent dehydration. Tell the medical professionals who attend to you where you travelled and alert them to any insect bites. Cover exposed skin with long-sleeved shirts, long pants and hats. Use insect repellent (for sale in pharmacies). Always follow the product’s instructions and re-apply, according to the instructions, after sweating or being exposed to water. Follow the instructions when applying repellent to children. If you are also using sunscreen, apply sunscreen first, and then insect repellent. Avoid applying repellent to the hands, the eyes or the mouth. Sleep in closed rooms with filtration or air conditioning. Use a mosquito net if the place you are sleeping is exposed. Require a certificate of yellow fever vaccine for travelers older than 1 year of age who have spent more than 12 hours in an airport of a country with a risk of transmission of the disease. SAUDI ARABIA, ALGERIA, AUSTRALIA, BAHAMAS, BAHRAIN, BELIZE, BENIN, BUTAN, BOTSWANA, BRUNEI, DARUSSALAM, CAPE VERDE, CAMBODIA, CAMEROON, CHINA, COLOMBIA, COSTA RICA, CUBA, DJIBOUTI, DOMINICA, EGYPT, ERITREA, ETHIOPIA, GRANADA , FIJI, PHILIPPINES, GUADALUPE, GUATEMALA, GUYANA, HONDURAS, INDIA, IRAN (ISLAMIC REPUBLIC OF), IRAQ, PITCAIRN ISLANDS, JAMAICA, JORDAN, KYRGYZSTAN, LESOTHO, LIBYA, MADAGASCAR, MALAYSIA, MALAWI, MALDIVES, MALTA, MARTINIQUE, MAURITIUS, MAYOTTE, MONSERRAT, MOSAMBIQUE, MYANMAR, NAMIBIA, NEPAL, NEW CALEDONIA, OMAN, PAKISTAN, PARAGUAY, FRENCH POLYNESIA, RÉUNION, UNITED REPUBLIC OF TANZANIA, SAINT MARTIN, SAMOA, SAN BARTHÉLEMY, SÃO TOMÉ AND PRÍNCIPE, SENEGAL, SEYCHELLES, SINGAPORE, SOMALIA, SRI LANKA, SOUTH AFRICA, SUDAN, THAILAND, TIMOR-LESTE, TRINIDAD AND TOBAGO, TRISTAN DA CUNHA, UGANDA, VENEZUELA, VIETNAM, WALLIS AND FUTUNA, ZAMBIA, ZIMBABWE. Require a certificate of yellow fever vaccine for travelers older than one year of age. ANGOLA, BURUNDI, REPUBLIC OF THE CONGO, IVORY COAST, GHANA, GABON, GINEA-BISSAU, FRENCH GUYANA, LIBERIA, MALI, NIGER, DEMOCRATIC REPUBLIC OF THE CONGO, SIERRA LEONE, SURINAME, TOGO. Schedule Attention: 24 hours, 365 days a year. Schedule: Las 24 horas, 365 días. The presence of modern and efficient transportation services for domestic and foreign travelers requires having an epidemiological monitoring structure in international health matters at international airports, seaports and points of entry by land. This structure’s goal is to prevent the spread of diseases considered to be subject to international epidemiological monitoring, in national territory, in accordance with national and international standards, laws and regulations (International Health Regulations). It also looks to prevent that efficient and modern passenger transportation systems — both domestic and international — spread diseases that cause epidemiological outbreaks or disease to the population. 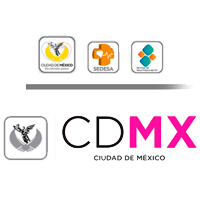 Sanidad Internacional is in charge of enforcing policies on international health and preventive medicine for immigrants and emigrants who are traveling through Mexico’s points of entry and exit. Sanidad Internacional services rely on the Mexico City of Public Health services and work in coordination with the relevant epidemiology authority (Dirección General de Epidemiología), according to International Health Regulations and international health organizations, such as the World Health Organization – Pan-American Health Organization (WHO-PAHO). These areas are in charge of epidemiological monitoring, prevention and control of epidemiological diseases (eradicate, control and eliminate them, as well as emerging diseases). The primary objective of the International Health Unit (Unidad de Sanidad Internacional) is to comply with regulations on International Health matters in the area of its competency, and prevent the entry into Mexico of diseases or illnesses subject to epidemiological monitoring and quarantine, which give rise to epidemiological outbreaks that pose a risk to the population.